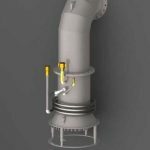 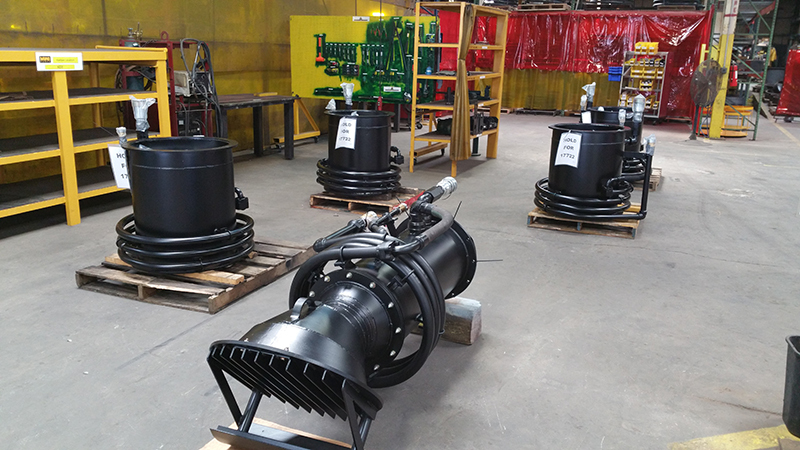 Hydraflo™ pumps are submersible water pumps that use the power of hydraulics and flexible hoses to drive the impeller. 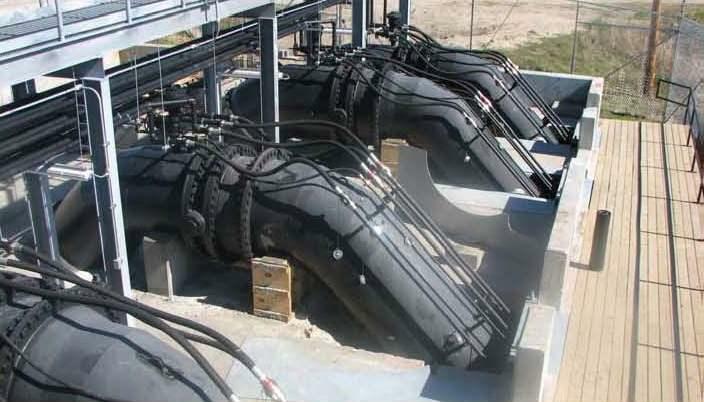 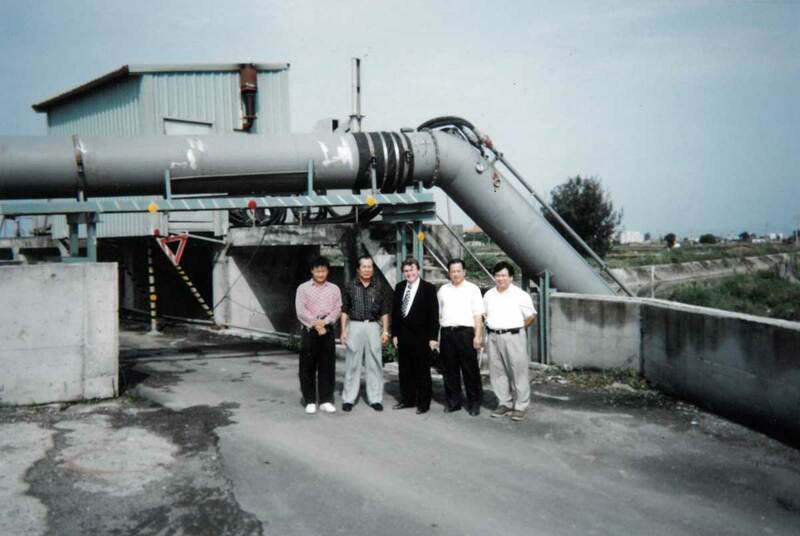 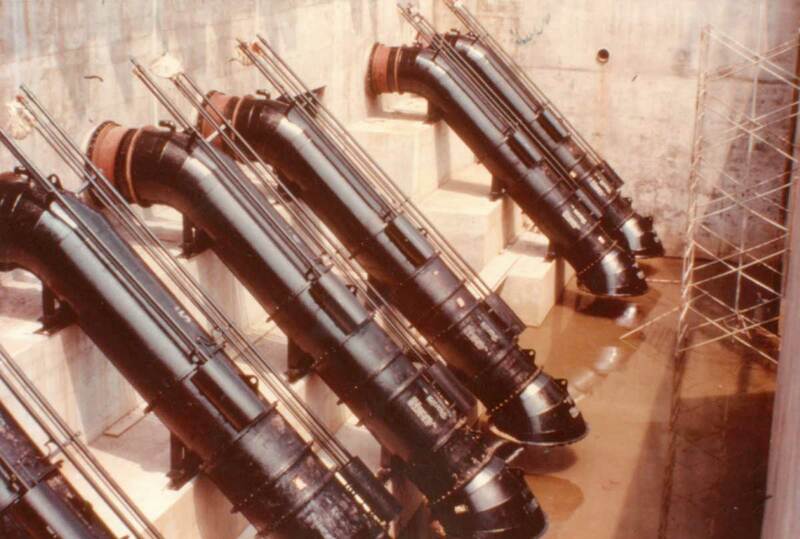 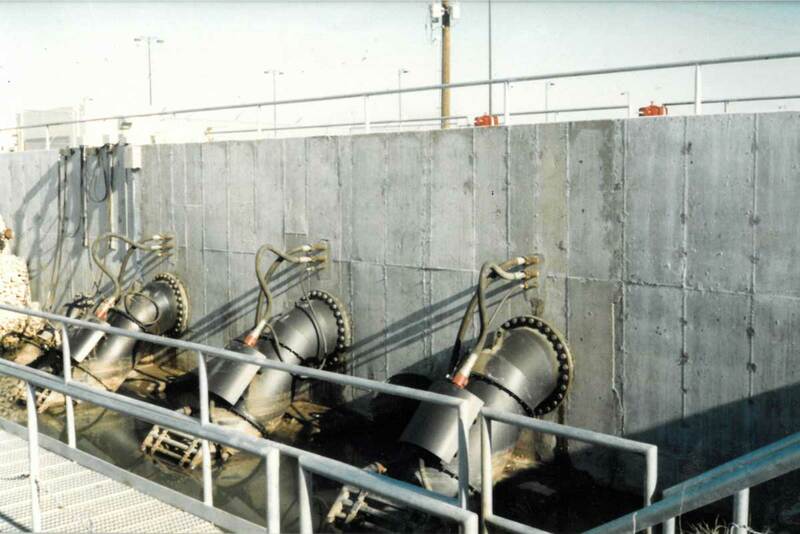 These large water pumps can move considerable amounts of water in a variety of applications. 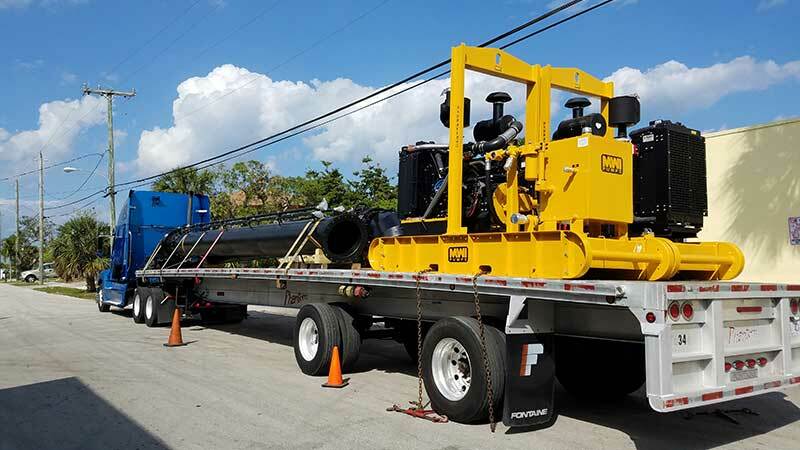 Hydraflo™ pumps help you get the job done quickly and effectively while saving you between 50-75% on civil works costs. 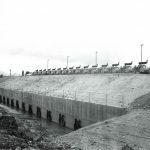 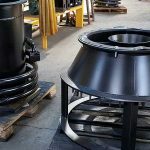 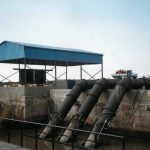 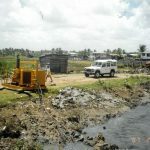 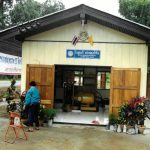 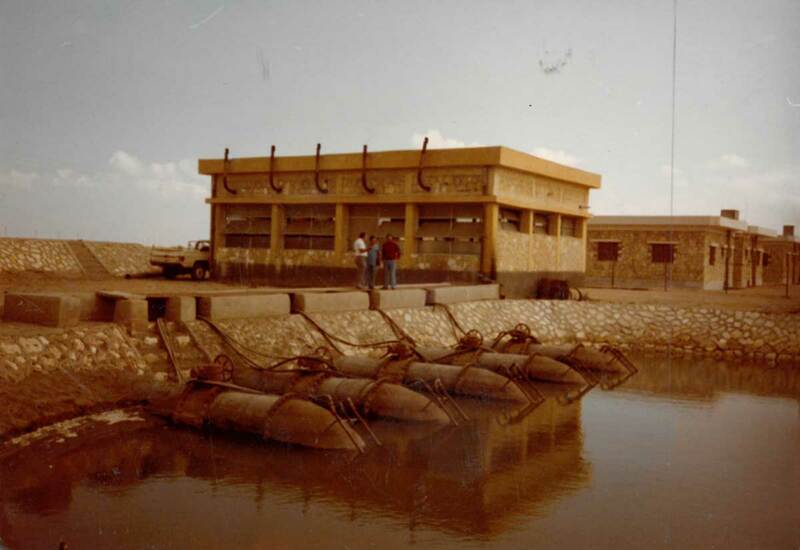 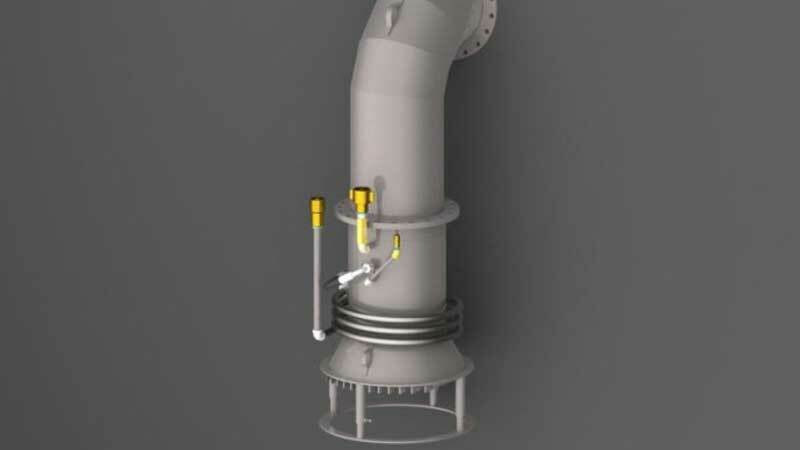 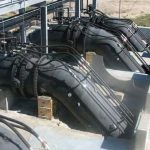 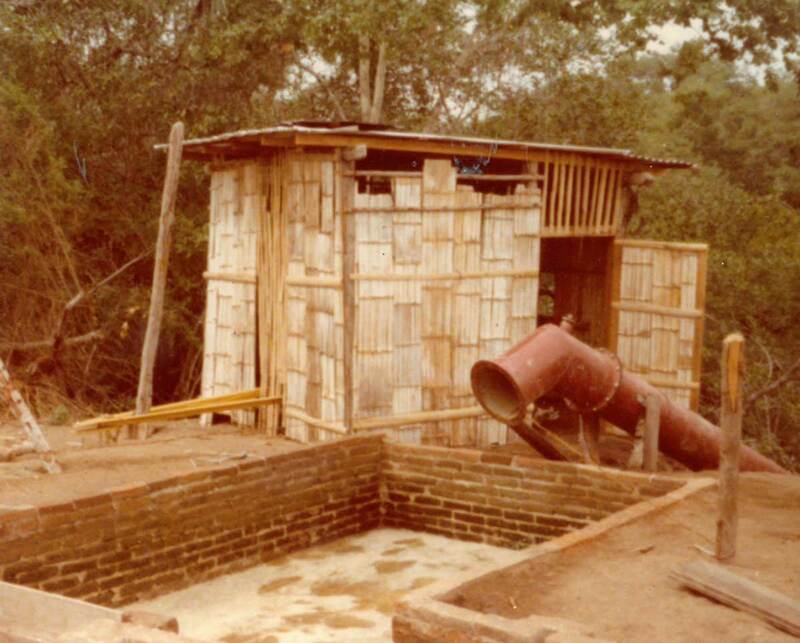 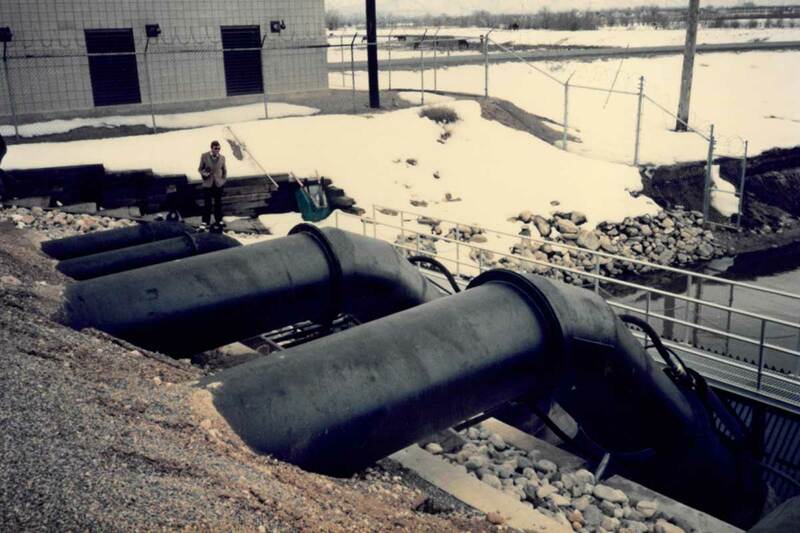 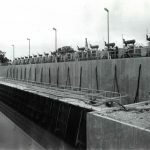 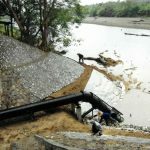 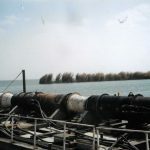 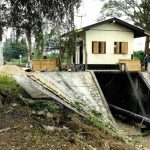 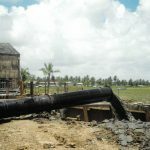 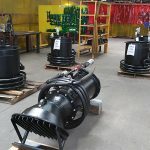 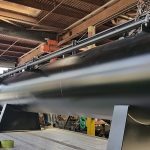 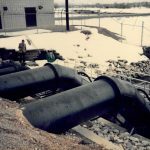 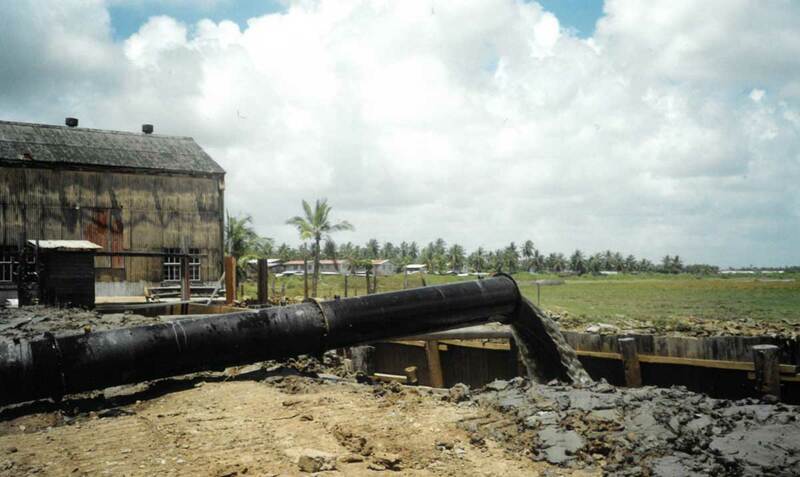 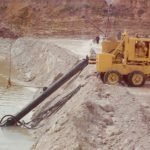 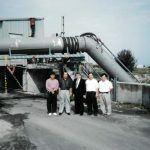 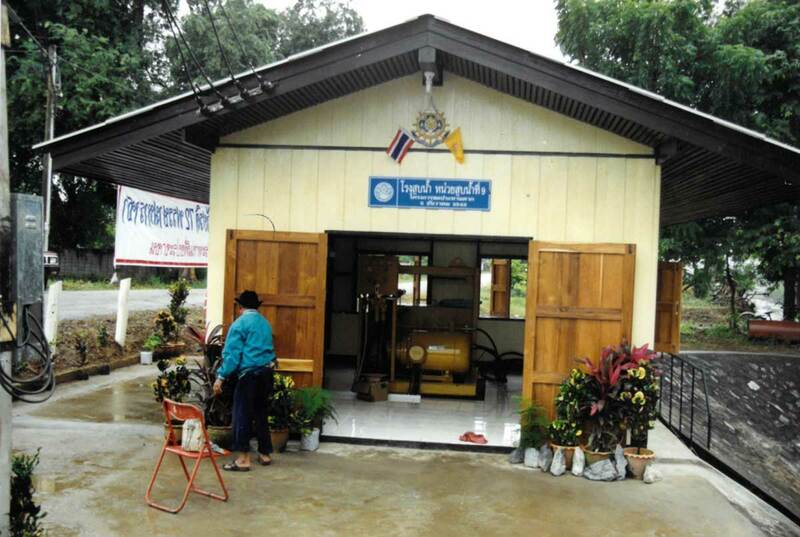 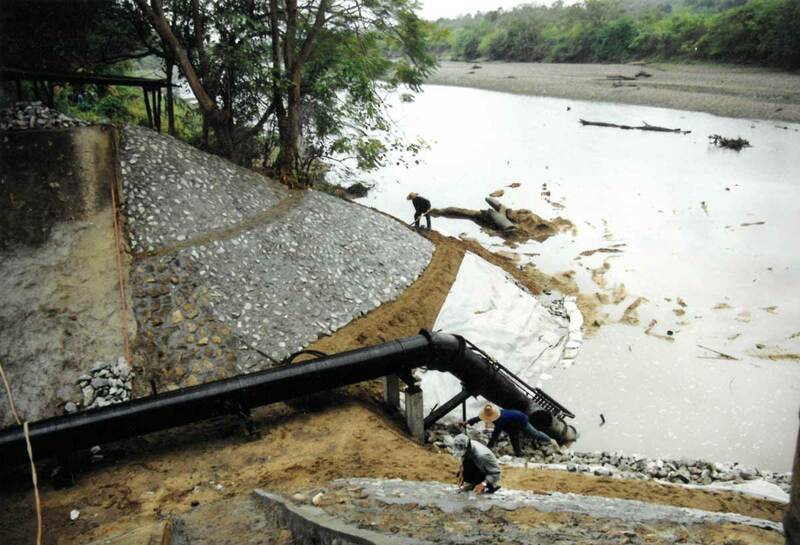 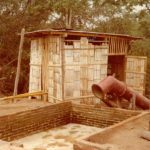 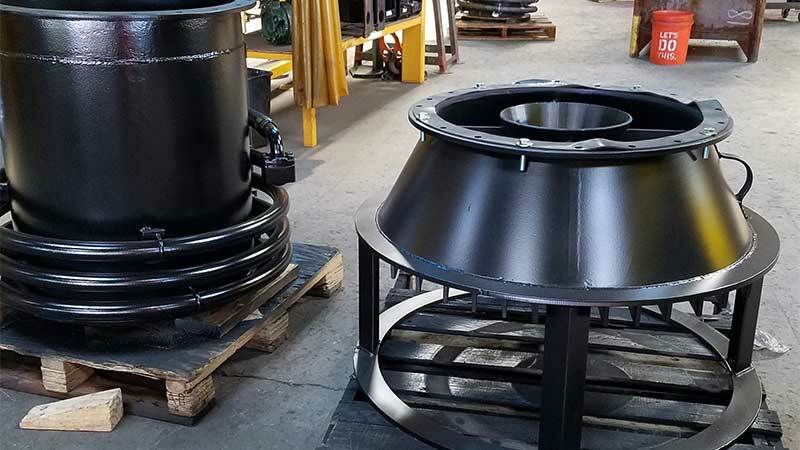 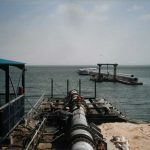 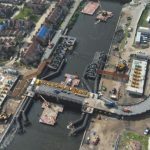 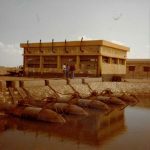 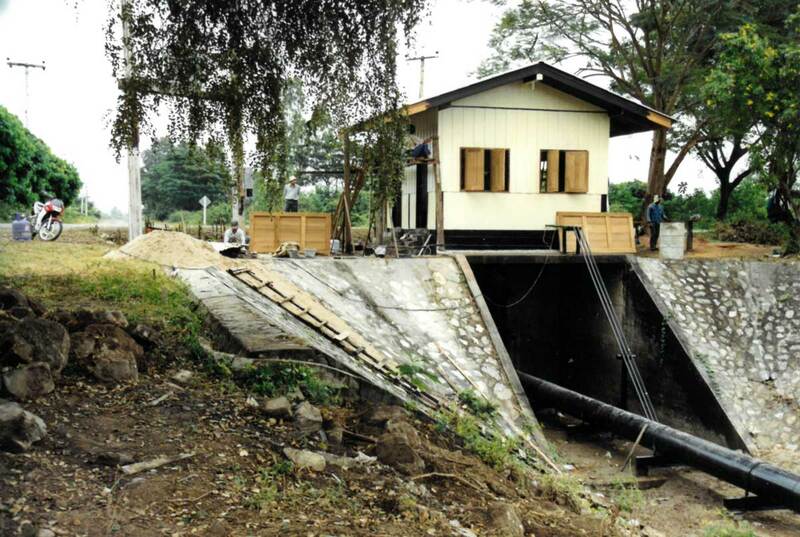 They can do the work of many traditional pumps without the need to build housing structures thereby decreasing the bottom line and complexity of the job. 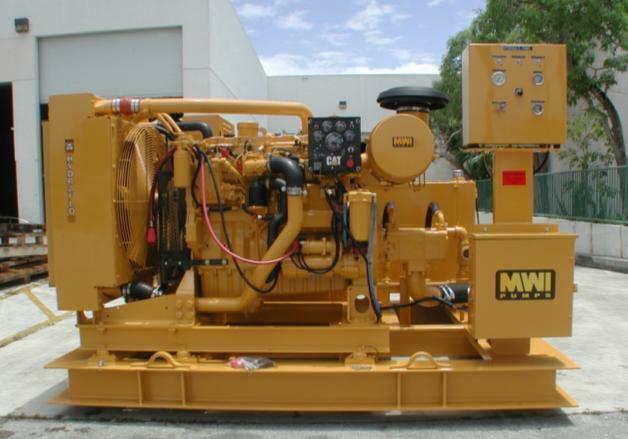 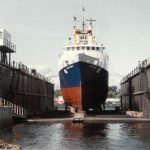 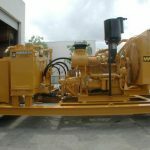 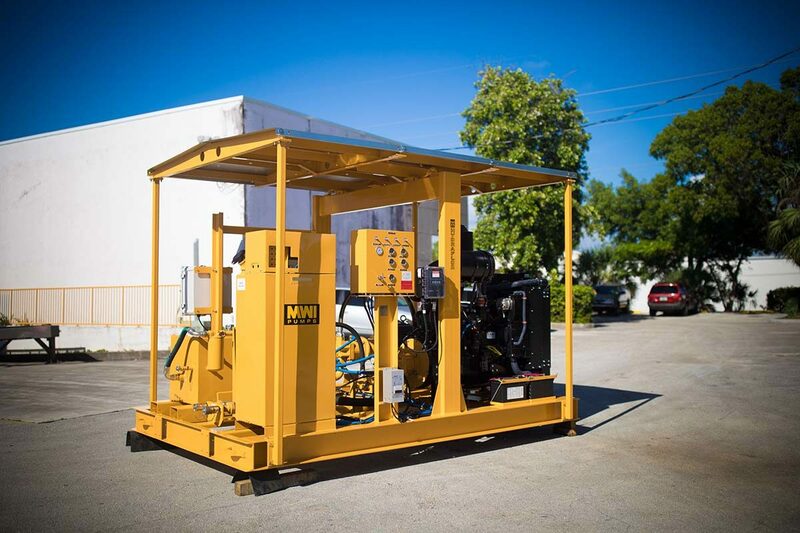 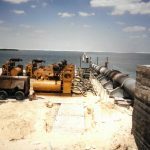 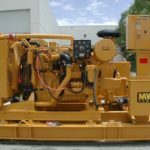 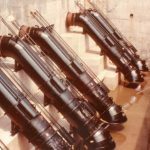 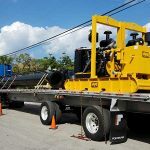 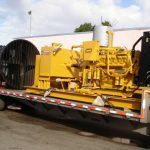 Additionally, these large water pumps can be set up in a matter of hours rather than months, which eliminates time and labor spent on installation, allows for portability, and provides variable speed control. 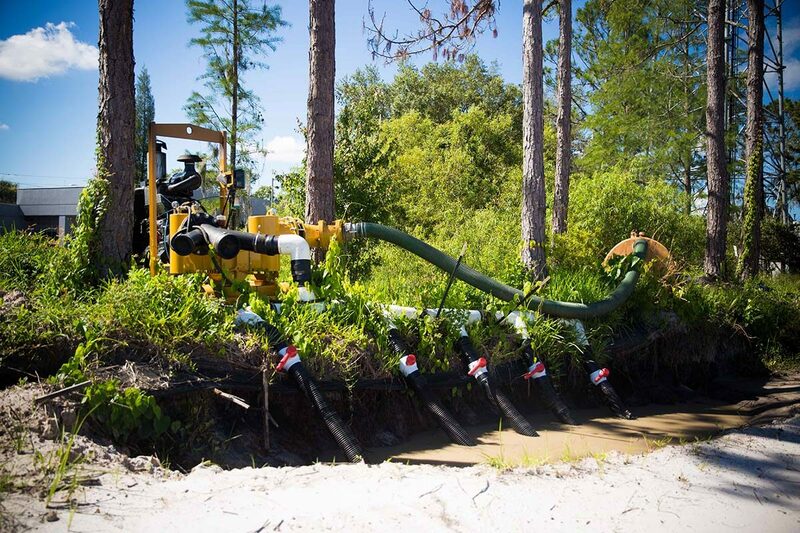 We offer several hydraulic fluid options for you to choose from, and each is biodegradable and remains within the EPA’s toxicity limits. 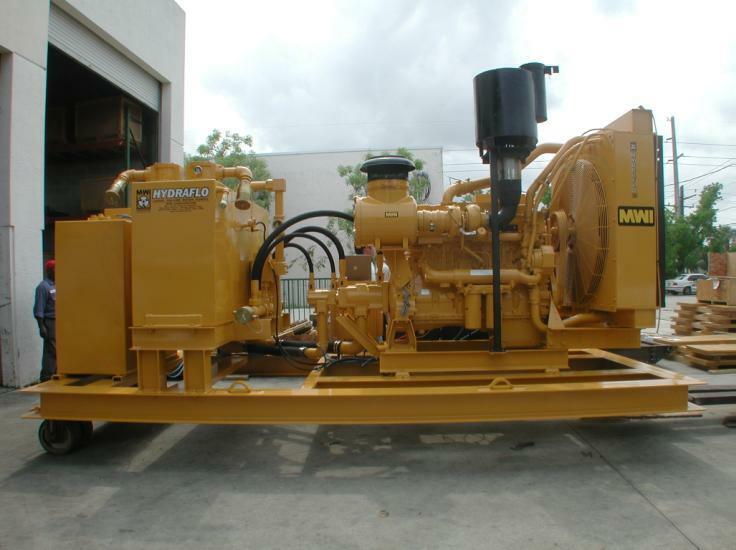 Our Hydraflo™ pumps feature compact hydraulic tanks that have a convenient engine shut-down switch, which is activated by fluid loss. 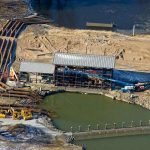 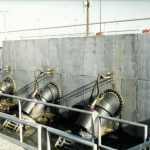 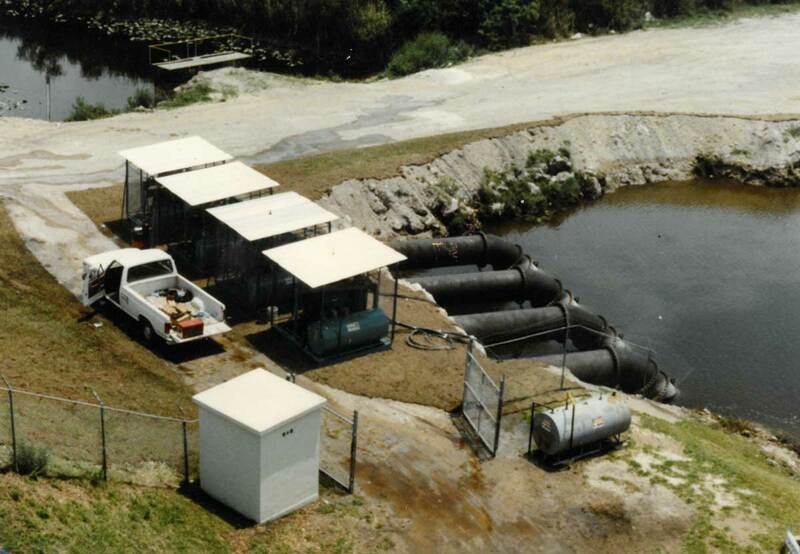 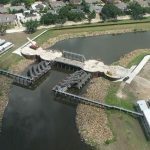 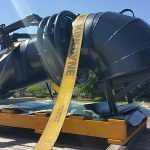 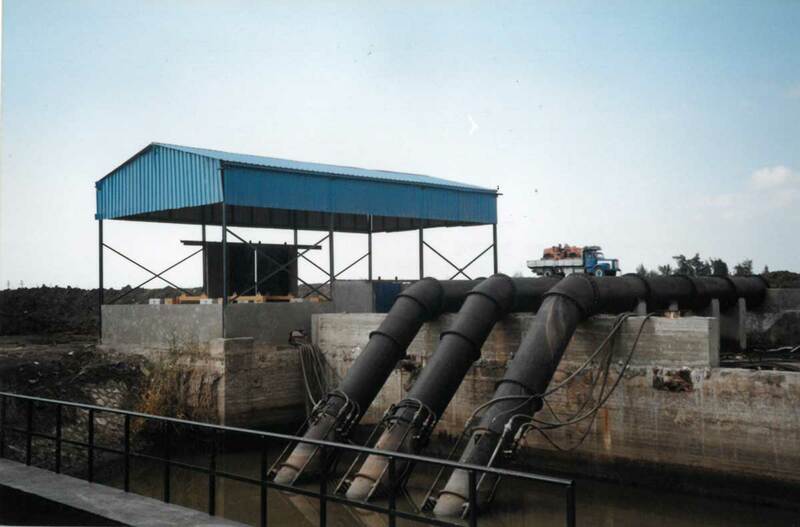 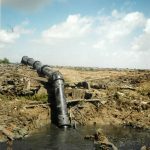 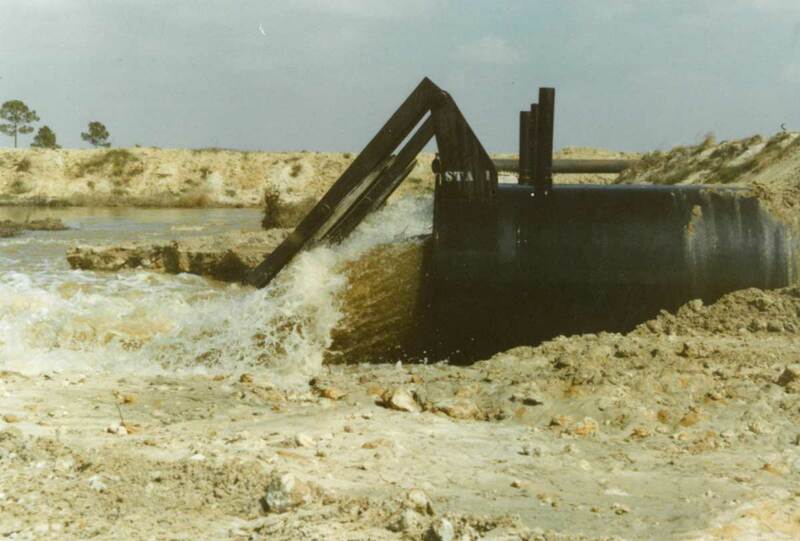 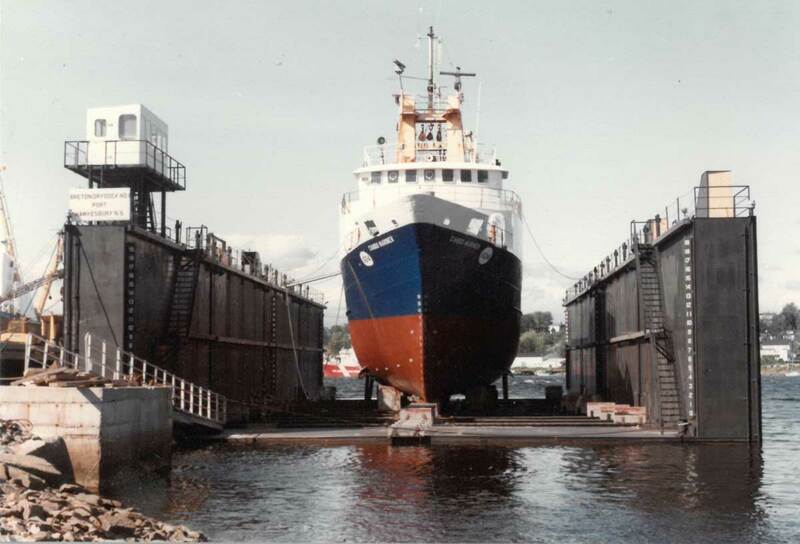 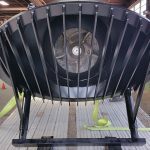 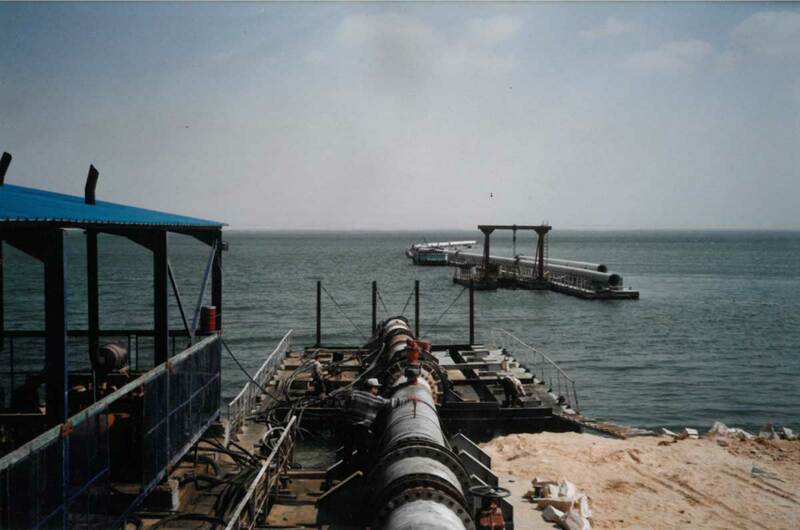 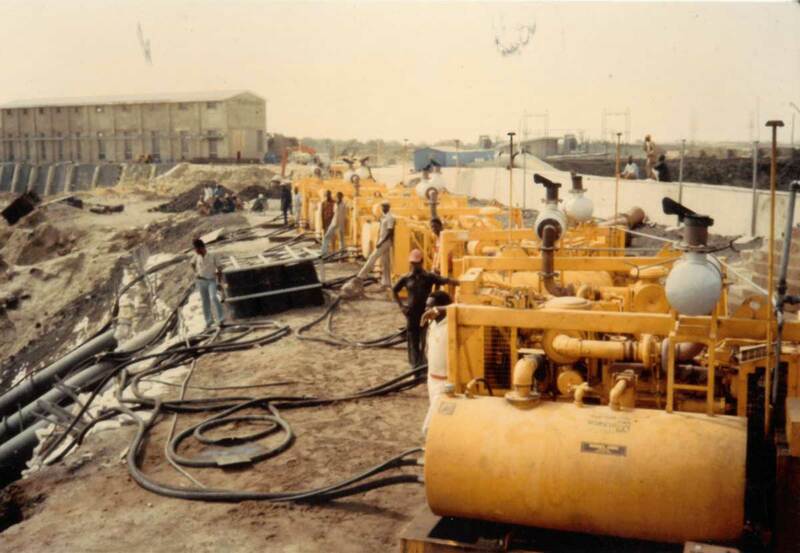 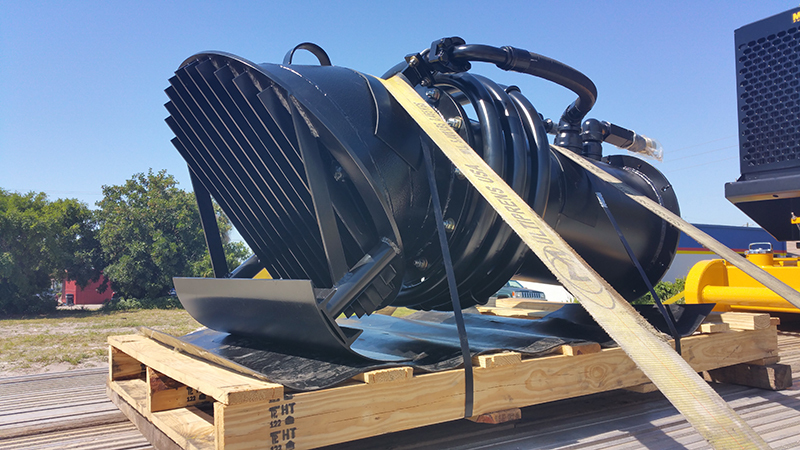 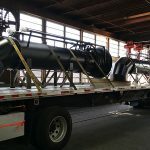 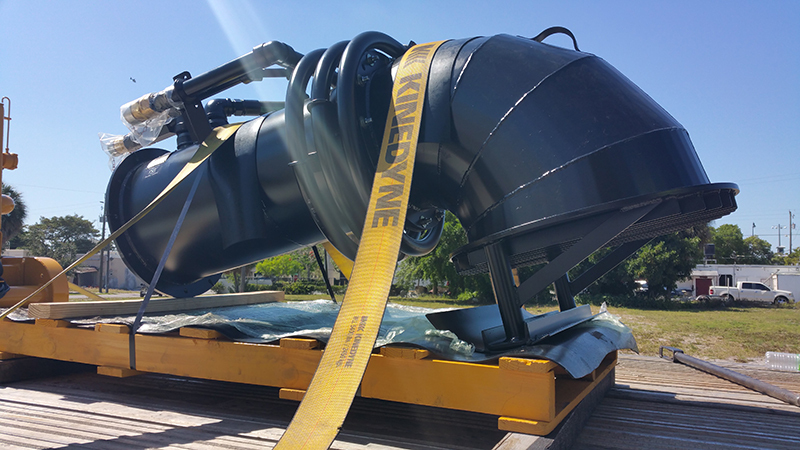 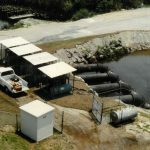 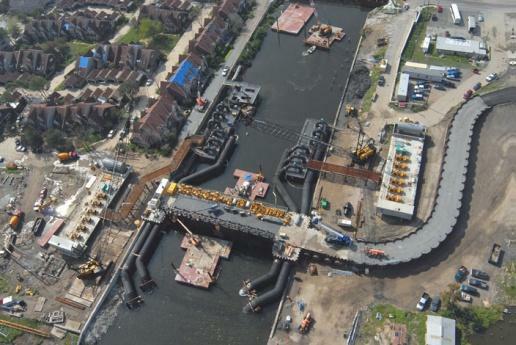 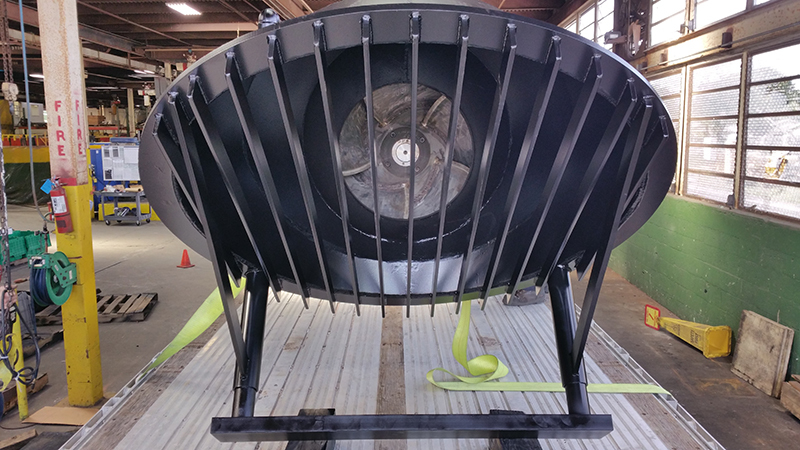 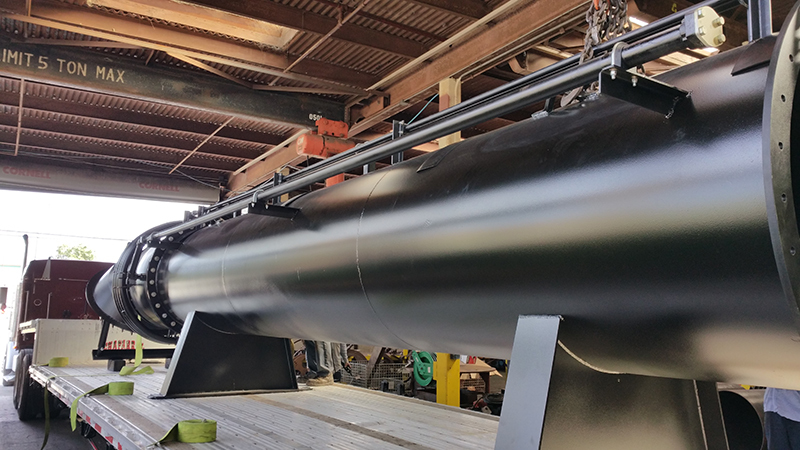 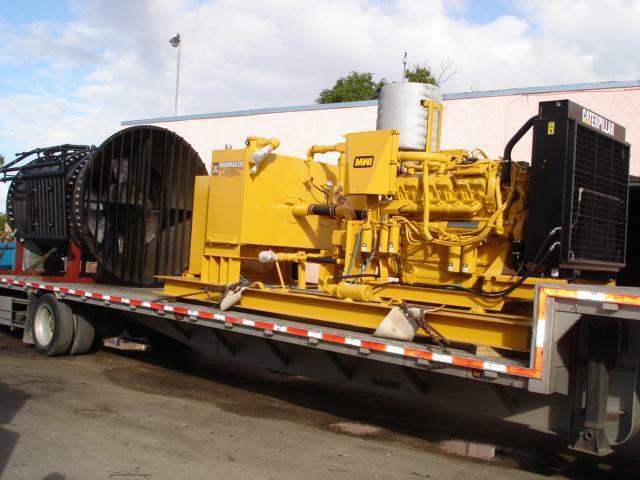 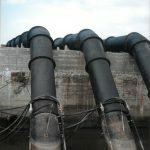 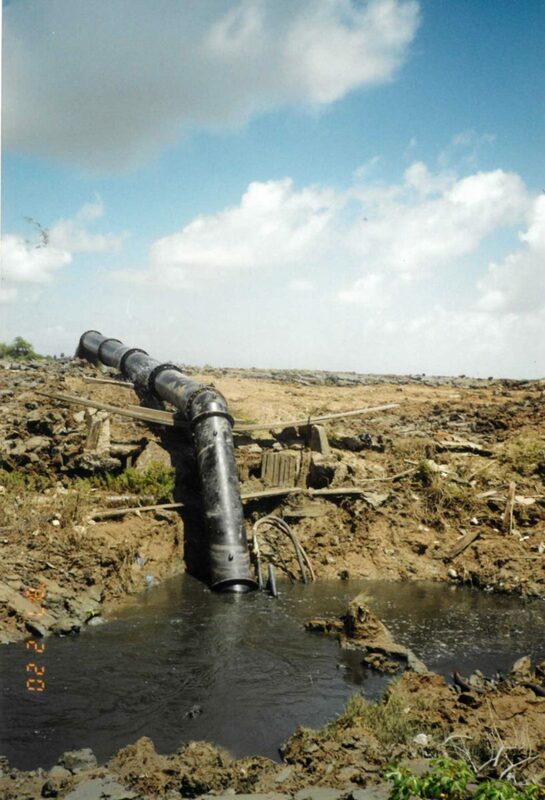 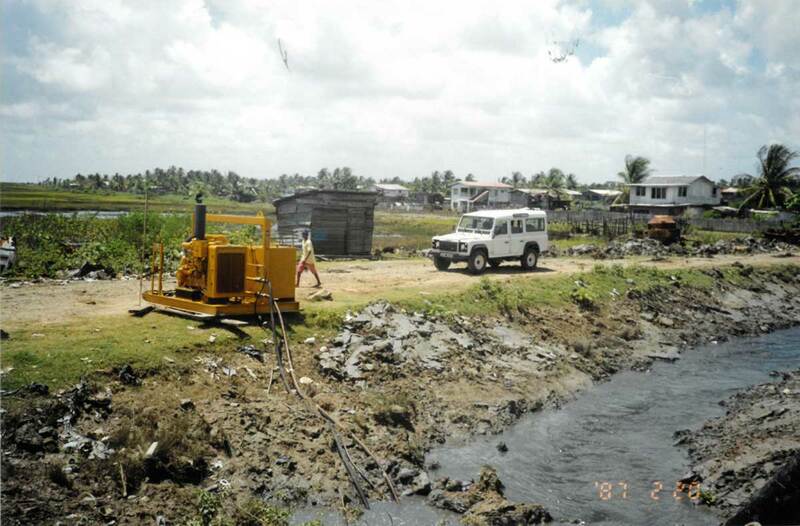 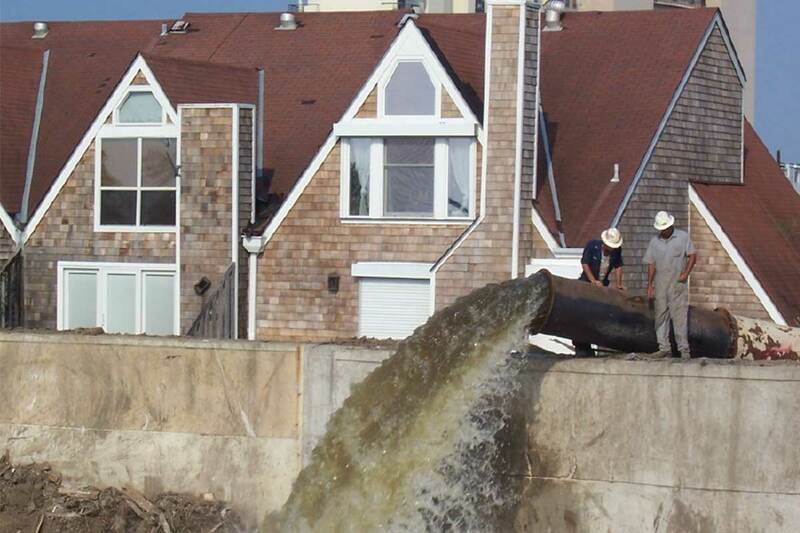 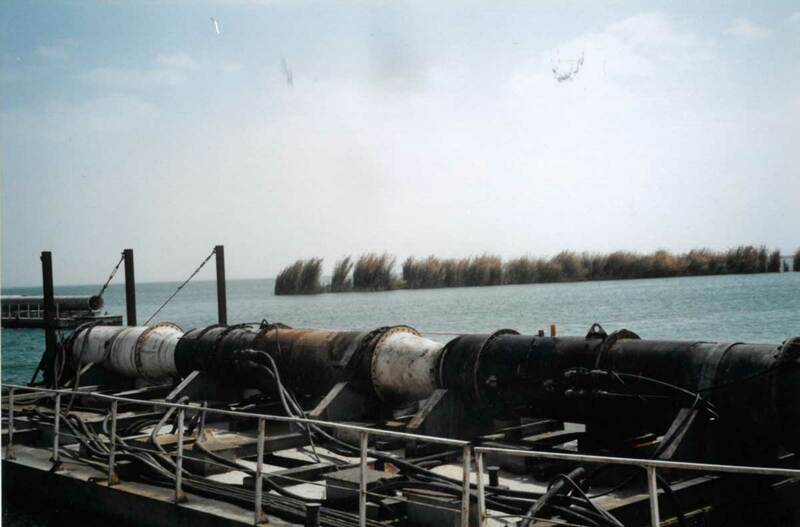 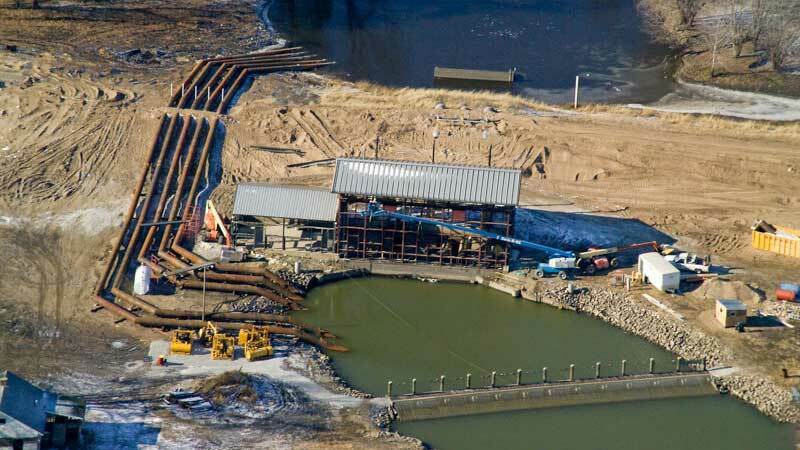 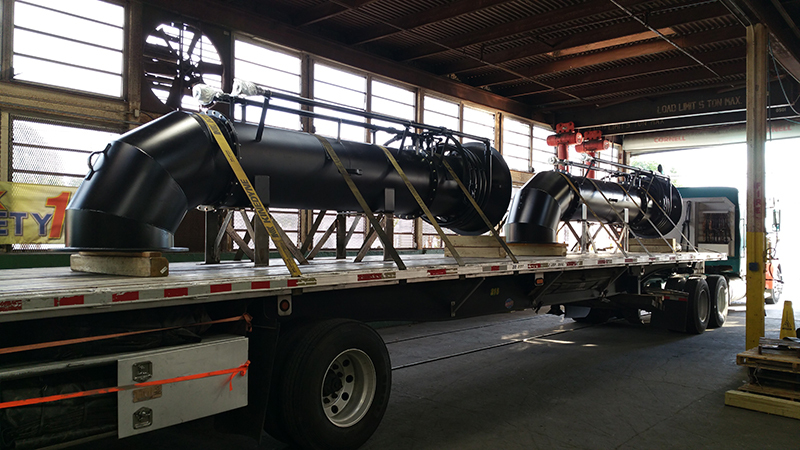 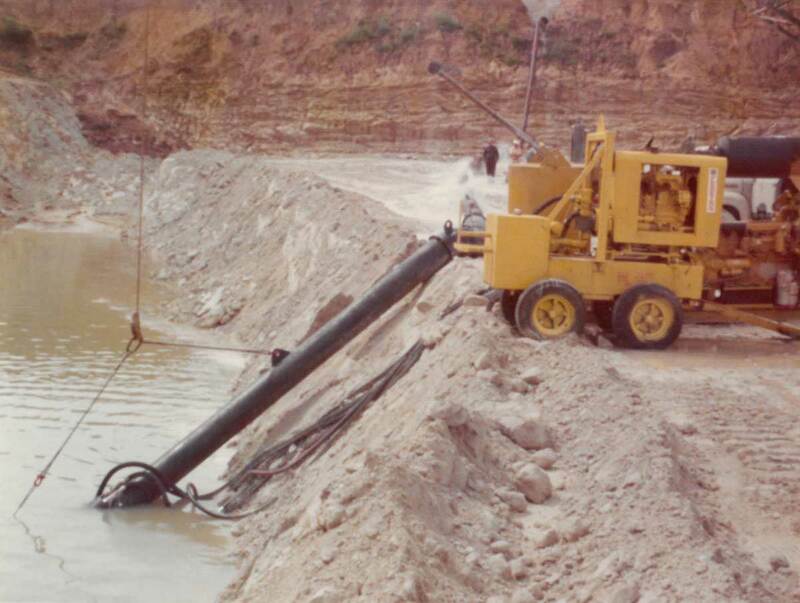 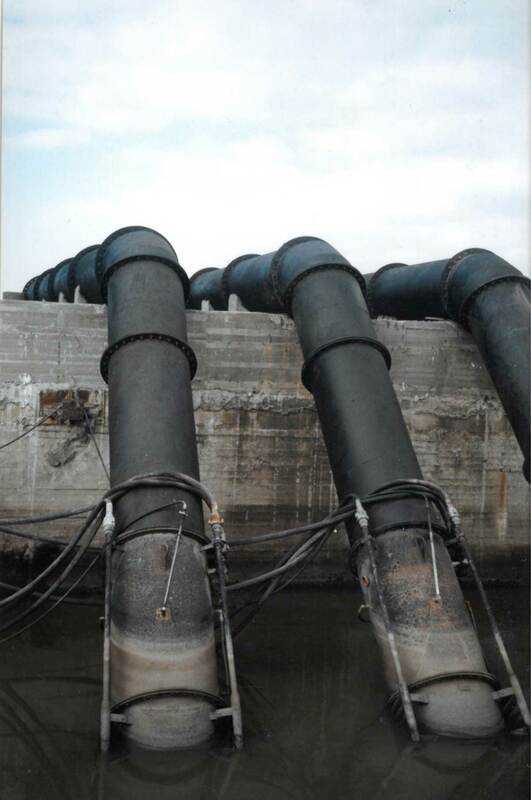 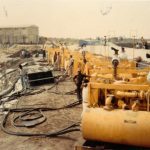 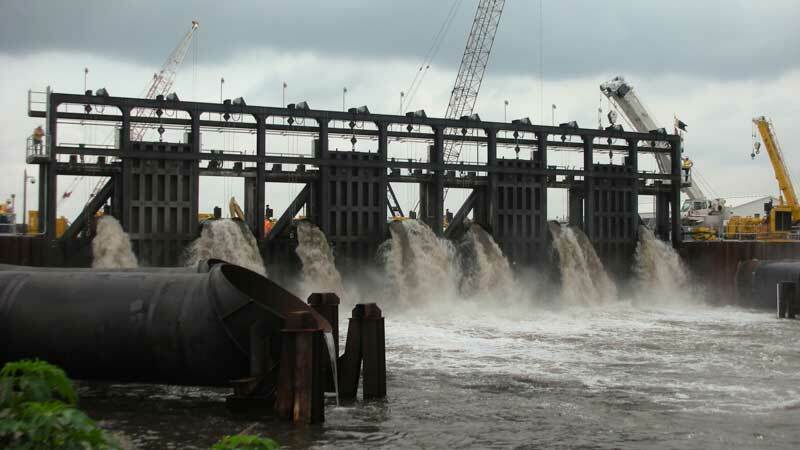 The Hydraflo™ was a critical asset in dewatering New Orleans after the flooding caused by Hurricane Katrina. 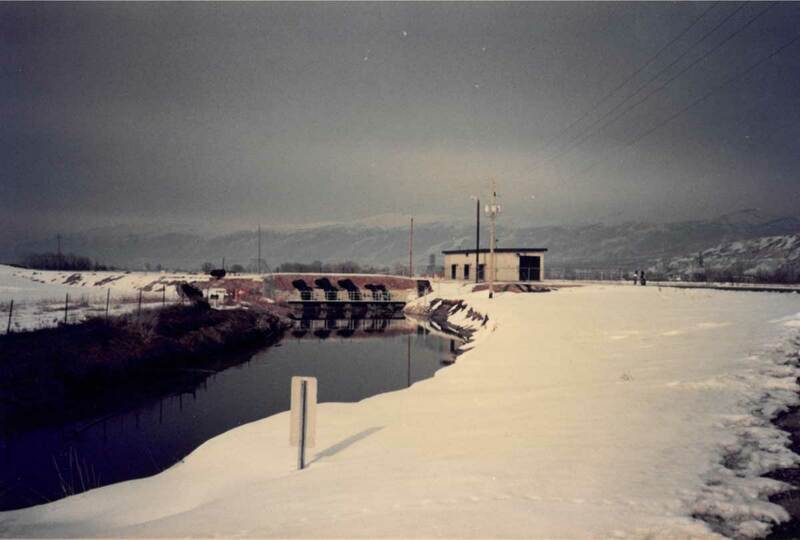 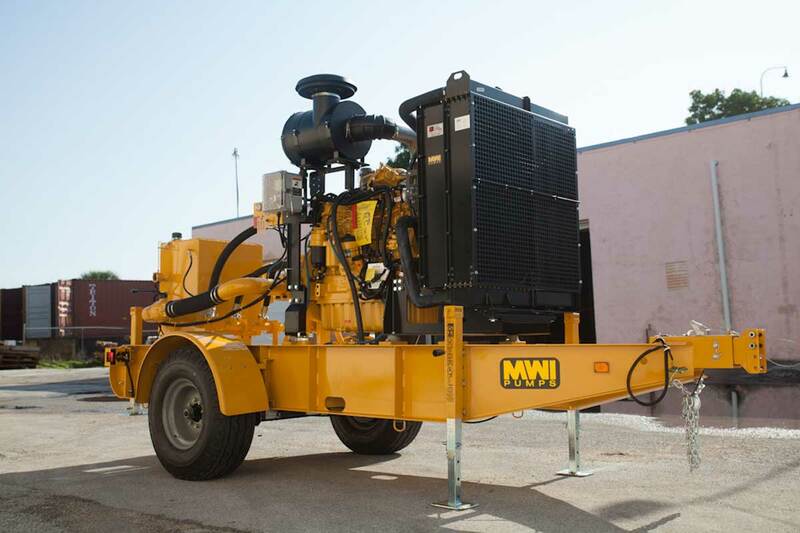 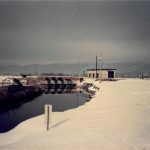 MWI sent 20 large portable pumps to multiple locations for the city to use during the emergency until the area was dry. 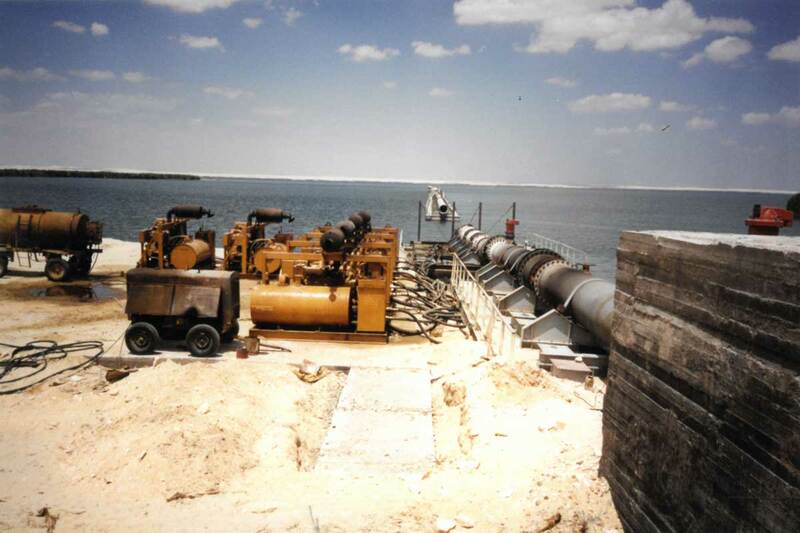 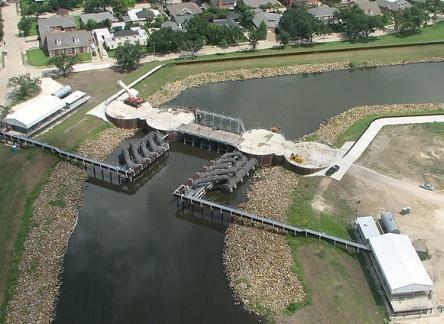 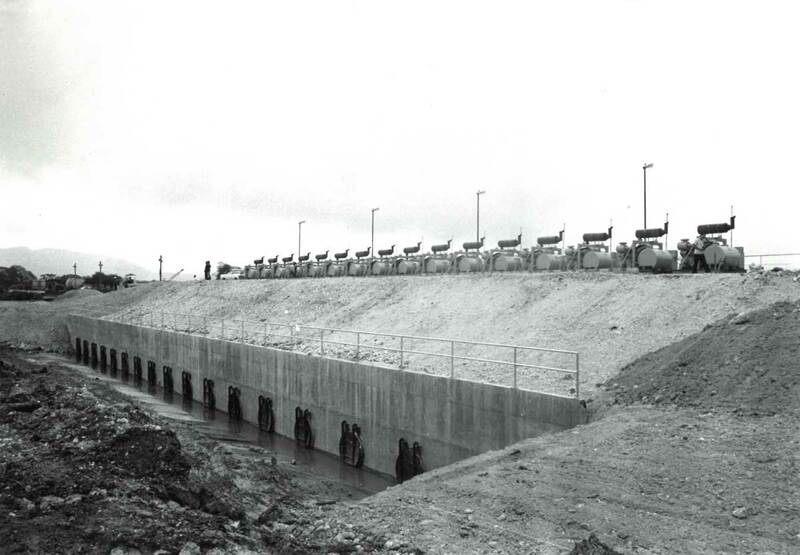 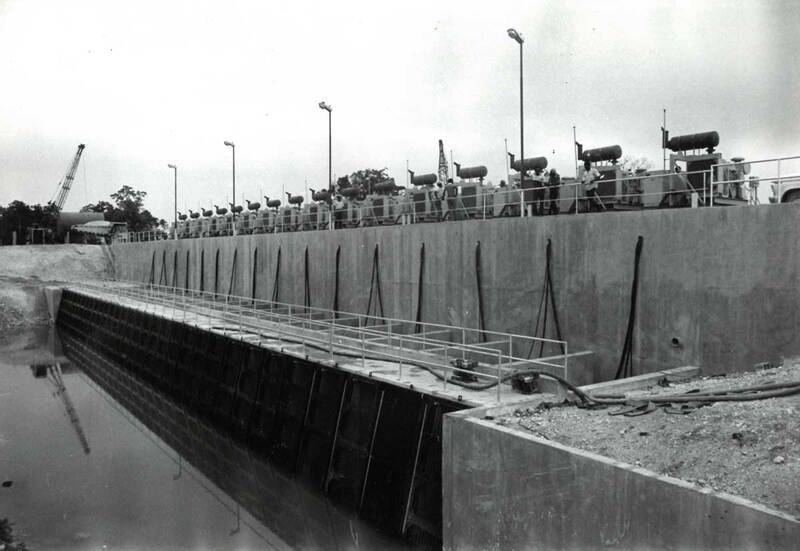 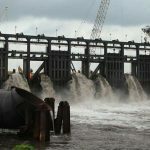 These large water pumps are also an important part of storm and hurricane preparation projects. 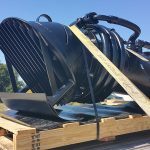 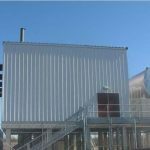 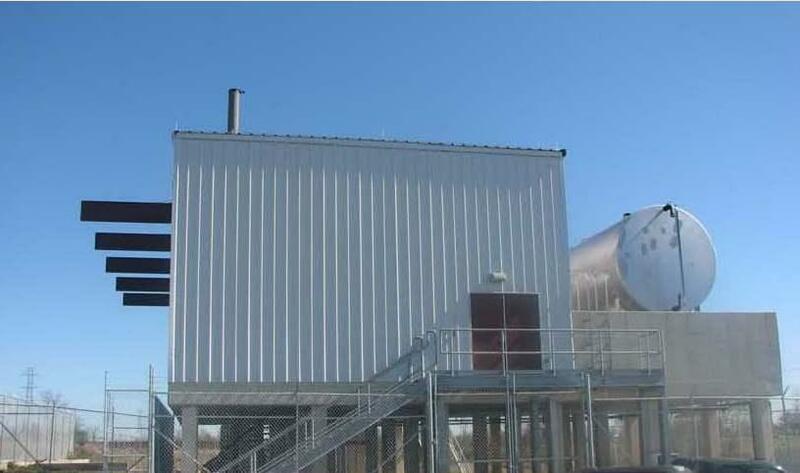 Watch our 60 second video showing a 100,000 GPM Hydraflo™ Pump Station installation done in a matter of days! 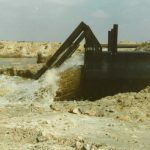 Clean the sump efficiently by drawing water from outside, thereby reversing the flow to allow sediment to flow into a suspension that can be pumped through to the discharge side of the pump.